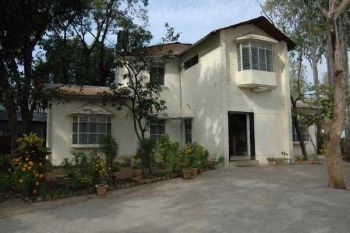 Kaladhungi Tourist Rest house is best suited for budget travelers. It provides limited number of rooms with utmost care. Kumaon Mandal Vikas Nigam has been serving the tourists with quality service ensuring a comfortable stay. KMVN promotes the heavenly hamlets of Kumaon region by providing affordably priced accommodation facilities. 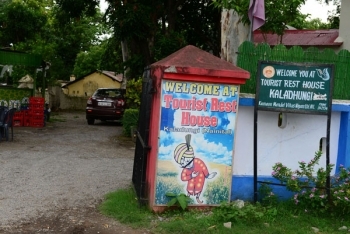 The price of the Kaladhungi Tourist rest house remains same throughout the year. Kaladhungi Tourist Rest House is situated in the main Kaladhungi town at a distance of 25kms from Haldwani and 54kms from Pantnagar. The KMVN rest house of Kaladhungi serves 01 Deluxe Family Suit, 02 Super Deluxe Rooms and a 06 bed dormitory. All the rooms are spacious and well equipped with basic amenities. The rooms have attached hygienic washrooms. NOTE: eUttaranchal.com is NOT associated with Uttarakhand Tourism Board or KMVN - Kumaon Mandal Vikas Nigam.